Brad is a promising young off-spin bowler and right-handed batsman. 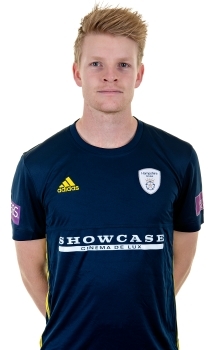 A product of Hampshire’s impressive youth system and supported by the Brian Johnston Memorial Trust through the BJMT Elite Spin Bowling Programme, Brad has always been regarded as a player to watch for the future. Brad hit the headlines in 2013 at the age of 16 when he became the youngest player in 135 years to appear for the Hampshire First Team after being picked to play against Lancashire in a Yorkshire Bank 40 and LV= County Championship match. An impressive 2014 campaign which saw Brad feature twice for the first team but predominantly for the Second XI, led him to receive a call-up to the England Under 19s Test side for matches against South Africa Under 19s. At the end of the 2014 season, Brad was awarded a development contract for the 2015 season and after yet another promising season for the Second XI, he was selected to captain the England Under 19's on their winter tour to Sri Lanka. Continuing to impress with bat and ball for the Second XI In 2016, Taylor featured in five T20 fixtures, including a memorable one-run victory over Sussex at Hove. 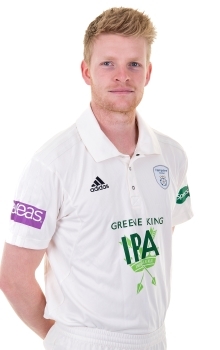 Taylor progressed further in the 2017 season, featuring in the First XI against South Africa 'A' in a tour game as well as a Specsavers County Championship game against Lancashire in June, whilst contributing to the Hampshire Second XI throughout the season. That winter saw the right-armer travel to New Zealand's North-Island city, Wellington, to play as the overseas professional for Petone Cricket Club and gain valuable experience in the southern hemisphere whilst working with former New Zealand International spinner, Jeetan Patel. Brad featured as an important all-rounder role in Hampshire's triumphant 2018 Royal London One-Day Cup campaign with two half-centuries contributed with the bat a highlight. Taylor contested a Specsavers County Championship Division One fixture against Surrey at the Ageas Bowl before being struck by an ankle injury, but he’s expected to return to action for the 2019 season.